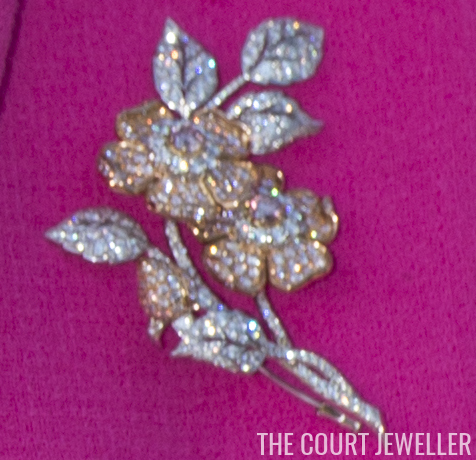 For the occasion, the Queen wore one of her newer diamond floral brooches. 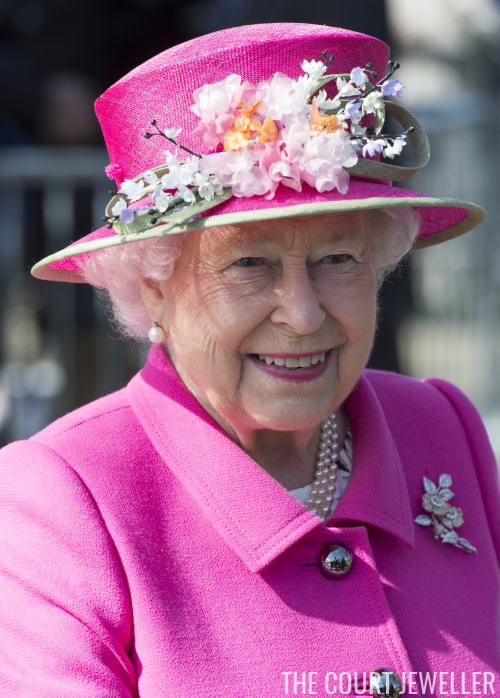 She's been seen out in the piece a few times in the past few years, and some have guessed that it was a Diamond Jubilee present. The close-up image above shows that the piece features two five-petaled Tudor roses, plus one diamond bud, surrounded by leaves. 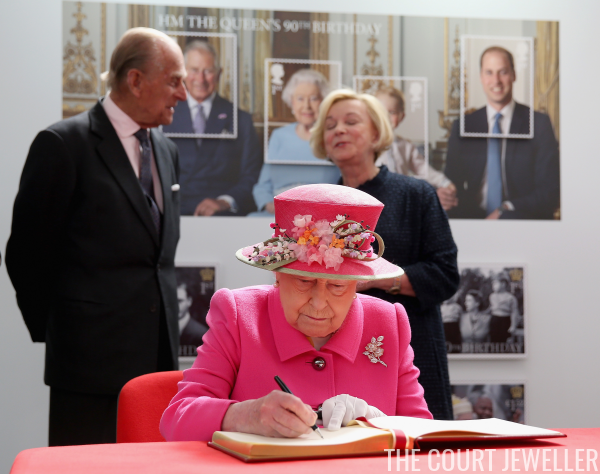 The Queen's visit to the Royal Mail coincides with the 500th anniversary of their delivery service; it also gave photographers a chance to capture the Queen in front of the new set of stamps that have been released to celebrate her 90th birthday.